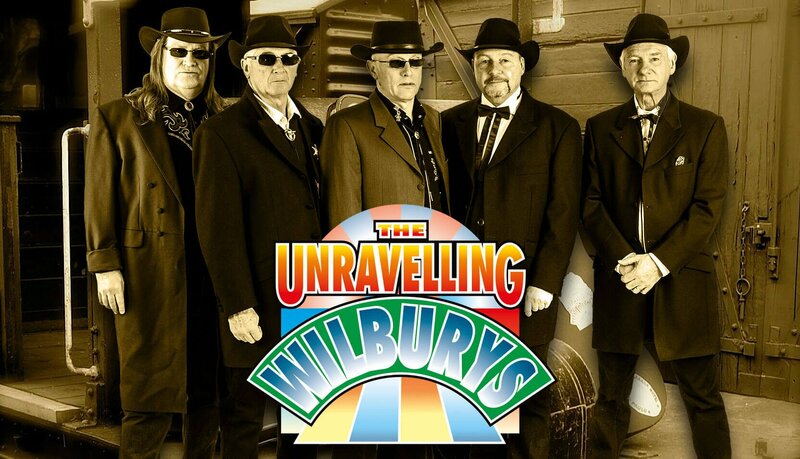 Just when they were about to make it to the big time, this band of good ol’ boys from Nashville, Tennessee had a whole bunch of songs (allegedly) stolen by Roy Orbison, Jeff Lynne, George Harrison, Bob Dylan and Tom Petty, under the late 80s ‘supergroup’ pseudonym “The Traveling Wilburys”. Things were so bad after that, the real Wilbury brothers (Walter, Sticky Willy, Thumper, Javelin and Blind Melon) resorted to dressing up as The Beatles, and spent over 20 years touring as “Sgt Pepper’s Only Dart Board Band”. After a lengthy legal battle, a Hazzard County judge ruled the boys could git back their true identity and hit the highway with all their old songs including: “Handle With Care”; “The End Of The Line”; “The Devil’s Been Busy”; “Tweeter and The Monkey Man”, and by way of compensation, solo choice cuts: “Pretty Woman”; “You’ve Got It”; “Mr Blue Sky”; “Telephone Line”; “Mr Tambourine Man”; Lay Lady Lay; “Running Down A Dream”; “I Won’t Back Down”; What Is Life; “Here Comes The Sun”; “Runaway” and many other great songs.